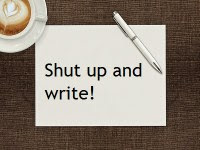 Library Research Services are running Shut Up & Write! sessions for researchers once a week during the Easter Holidays. WHEN: Friday 6th, 13th, 20th & 27th April - 10am-12noon.